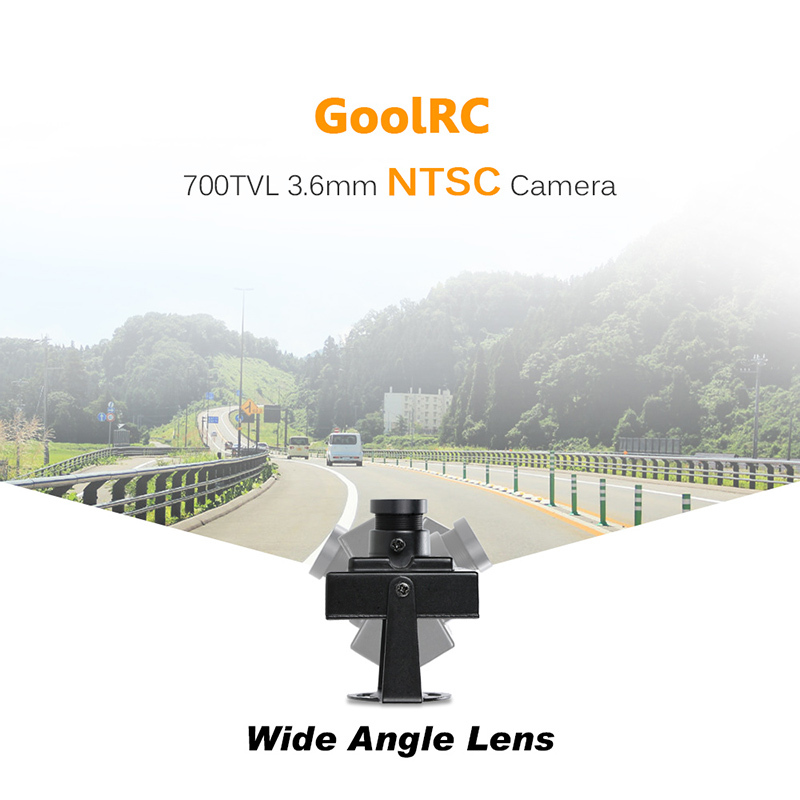 700TVL 3.6mm Mini CCD Camera NTSC for CCTV Security Video FPV Color Camera. 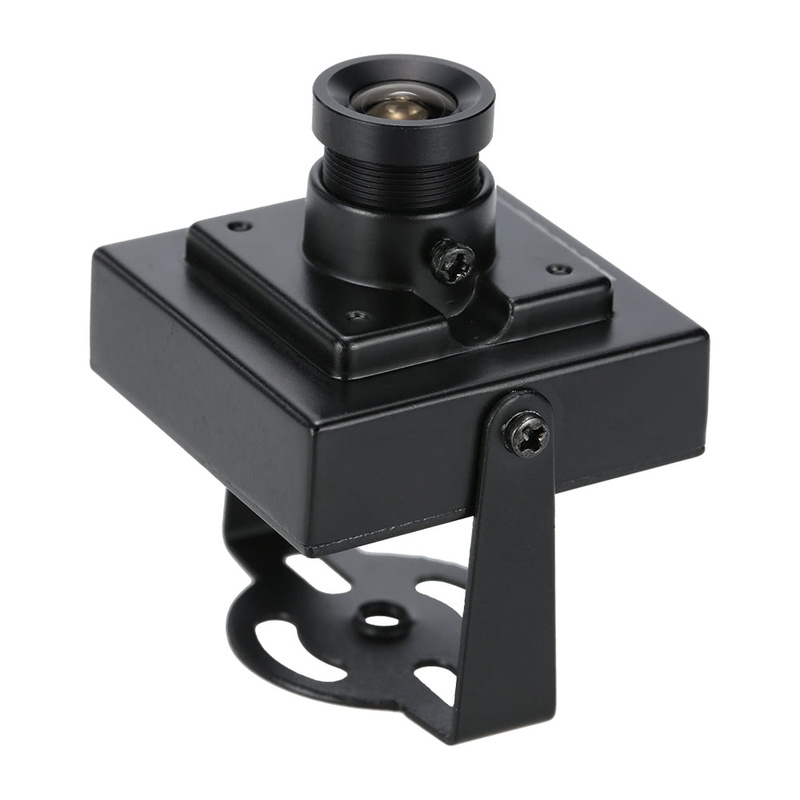 700VL 1/3'' 960H EX view sensor. 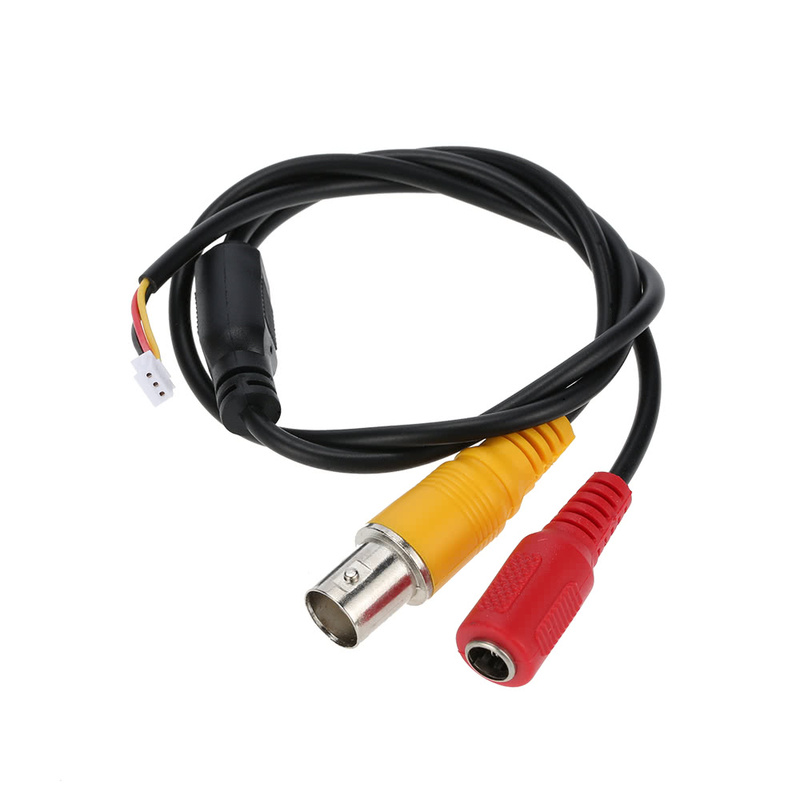 What audio video cable does is come with? None it does not come with anything else. Small box and camera and maybe a schematic. Are the Dimension: 36mm x 36mm with the brackets? What are the dimensions with out the bracket? The product description lists what seem to be optional settings; how do you set those? Can you remove the case? It is slightly too big for my quad. It does not charge. You have to connect it to a battery for power. I use a 800mah 3 cell battery and it works just fine. I am planning to use this as security camera. How do I power it? 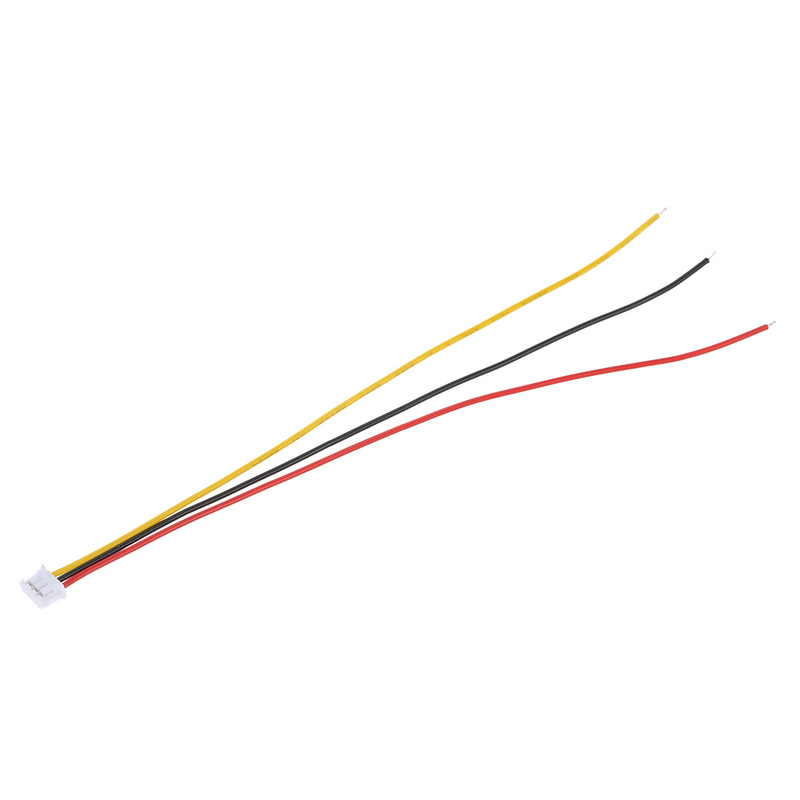 Wire it to a 12vdc power adapter. It will also run for a few days off of a lead acid batt. 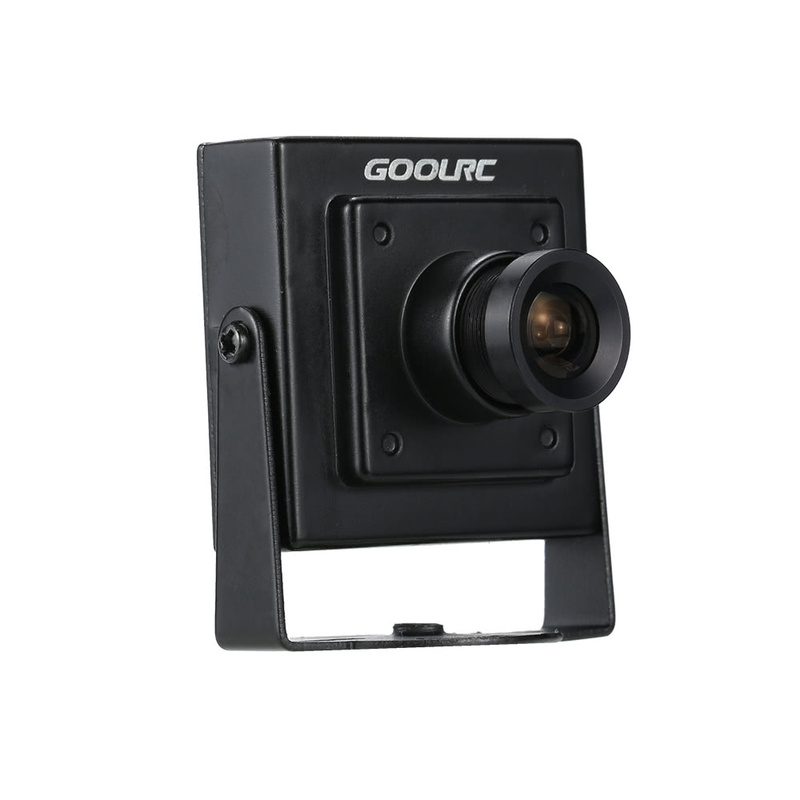 Does this camera have an ir filter that prevents it from "seeing" ir illuminators,etc.? What resolution does this capture? VGA? 720p? 1080p? 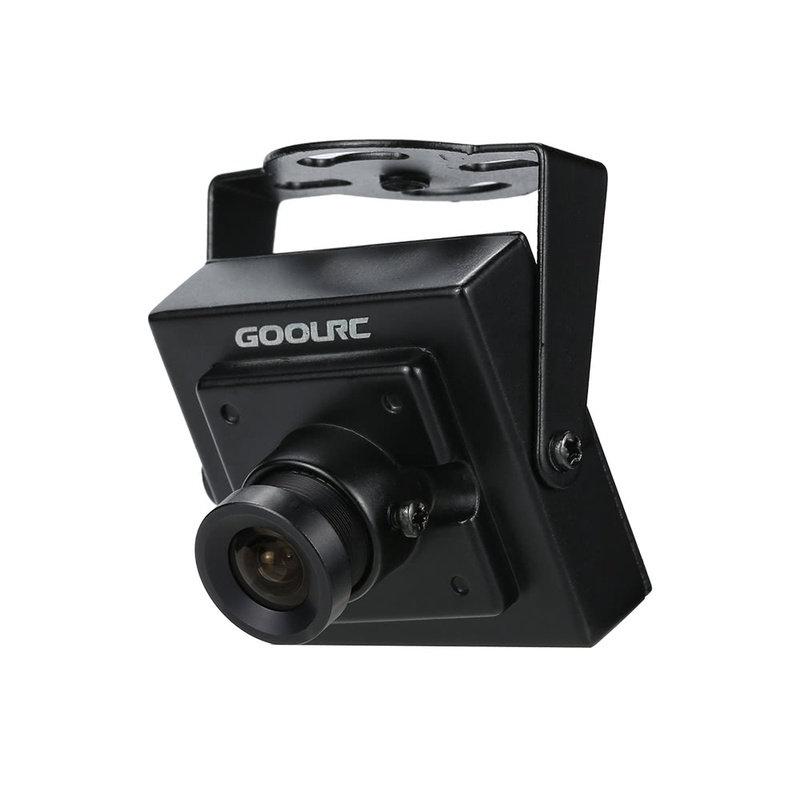 Does this camera respond to ir illuminators such as the crazycart 48 led illuminator? Well. Can't comment on video quality as this camera was wired the opposite of mine. So I burned up the camera and transmitter trying to use it.. So be aware of the wiring. Other than that I love the frame and being able to point it at the angle I want. 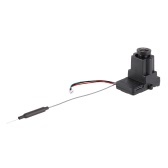 I bought one of these on a whim to build a DIY nightvisioin rifle scope. I'm floored by how well it works. In daylight the video quality is impressive. In the dark with an IR light source it works almost as well as in the daylight. It's small too. Only about 1.25" square. The camera works well in daylight, and in well-lighted artificial light situations. 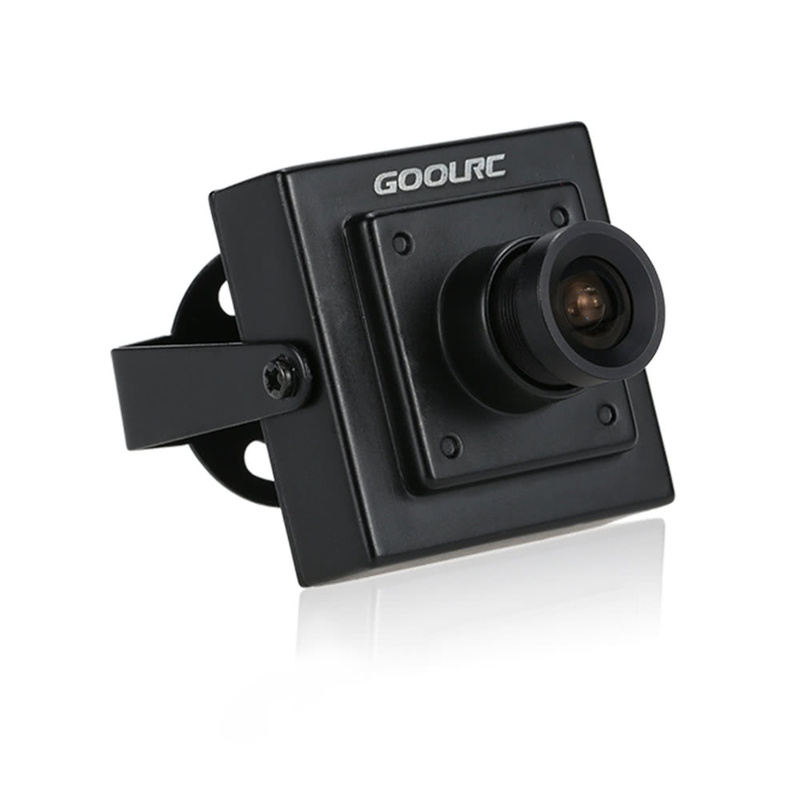 It works unexpectedly well in low-light conditions, too - although it is definitely not "night vision". It does not switch to black & white under low-light conditions, so the color images produced under those conditions are very grainy. 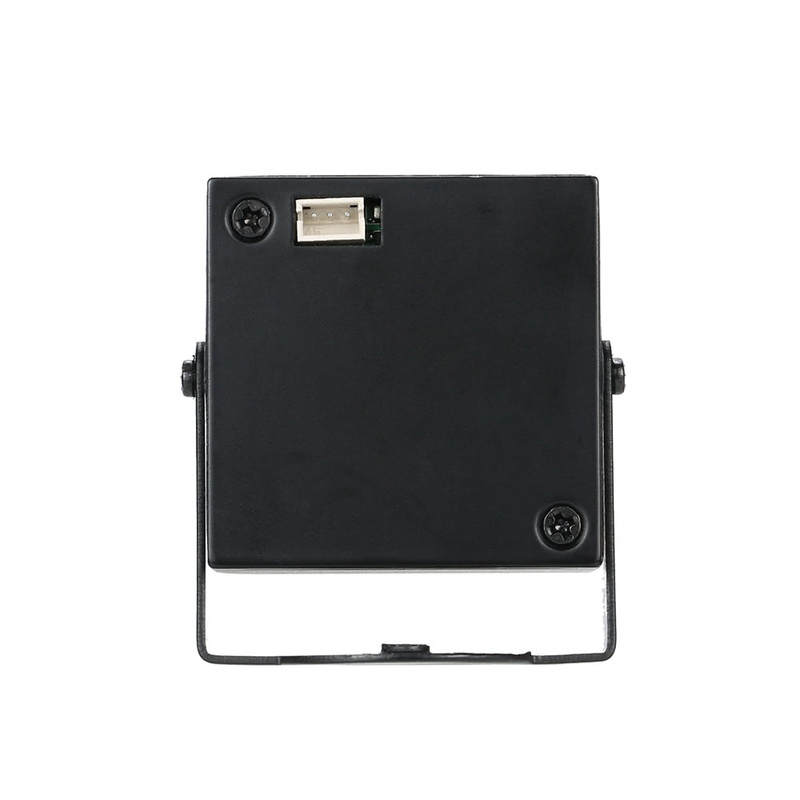 It has a metal housing and mounting bracket, although the housing is not sealed around the cable connection, so it is not really weather-resistant. 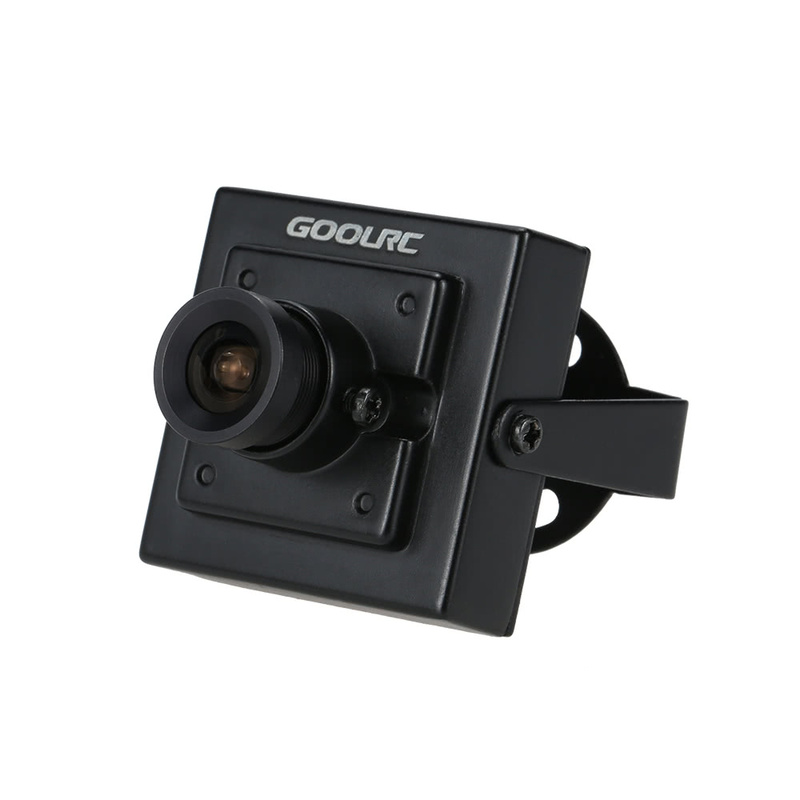 It is easy to mount and aim; the bracket has a center hole threaded for a metric mounting screw (NOT included), so no need to fumble with a nut. 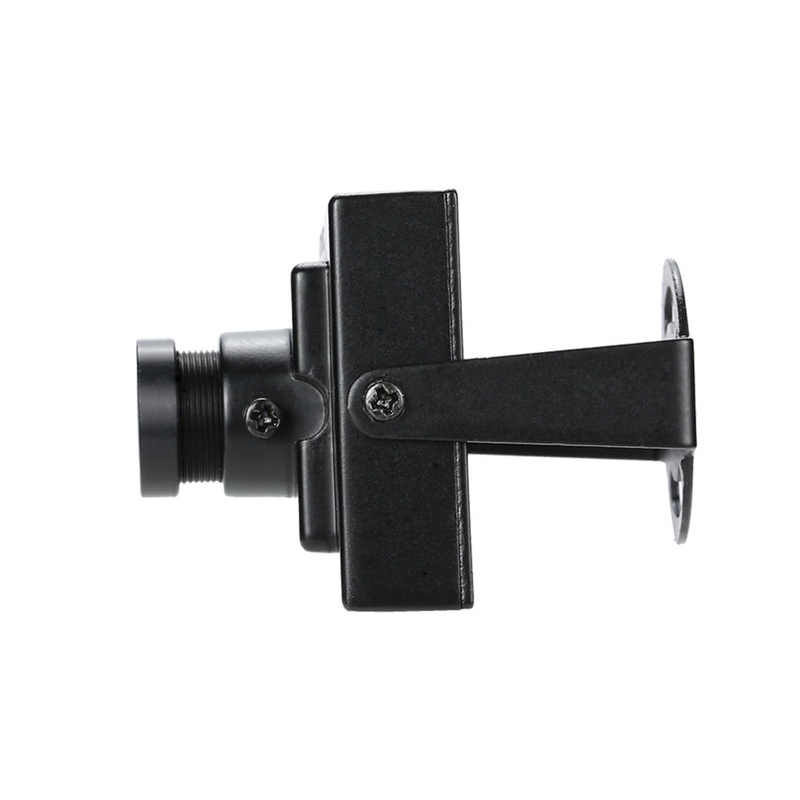 Also has slots for inserting (a) screw(s) to secure the aiming position - although snugging the center mounting screw is adequate for holding the aim in static situations, because the unit is fairly lightweight. 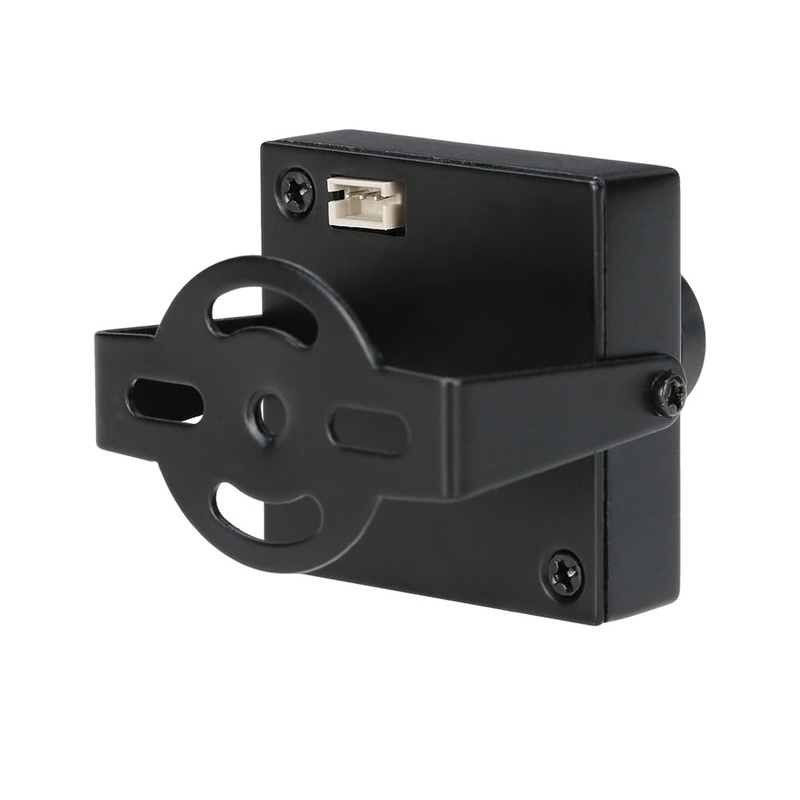 The bracket can be swung up or down to allow mounting from above or below. 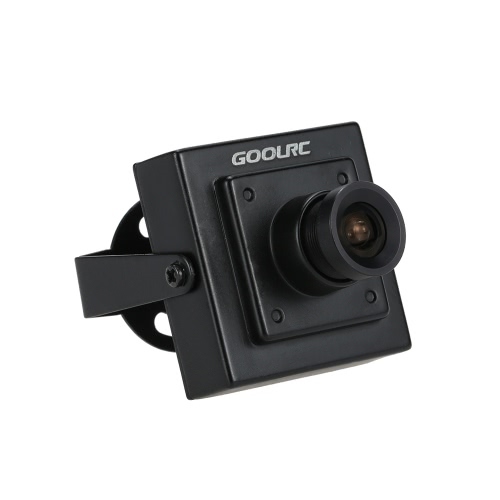 The housing is robust, and probably could be made essentially weather-resistant if the connector opening and seams were sealed with RTV, etc. The only other improvement that might help would be to have black & white mode and an IR cut filter - for clearer low-light images. It's a little heavy because it has an all metal case and metal lens frame. Hopefully it will be robust for crashes. Video quality seems ok for FPV. 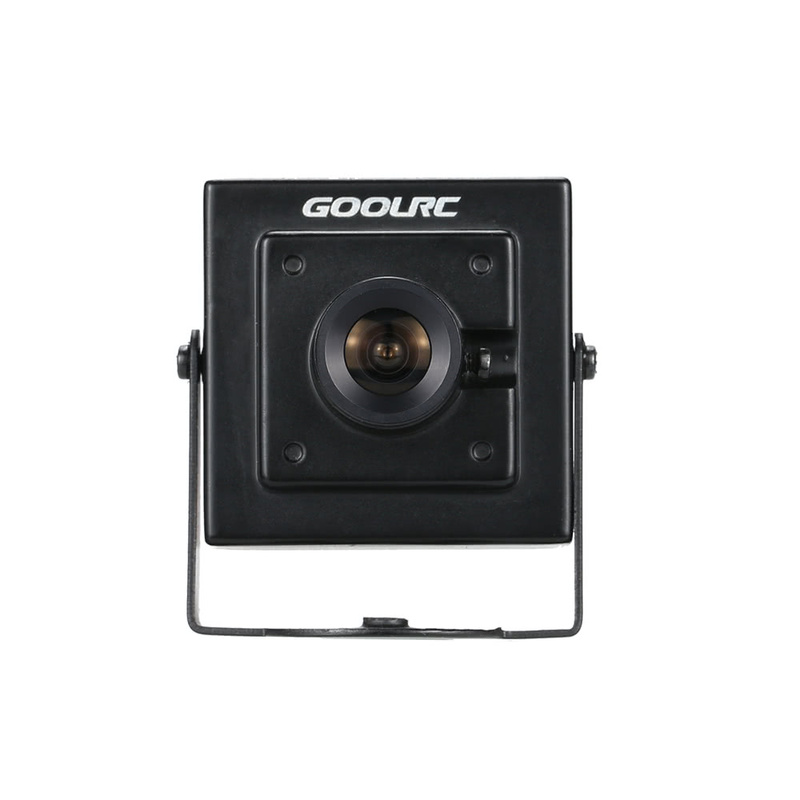 It does not have any mounting holes on the back of the case to attack to my quadcopter's front facing FPV mount. I'm going to try just ziptie'ing it to the lower frame board. Good for the price. Removed one star because the lens is built into the case which is unfortunate if you ever want to remove the board to save space. 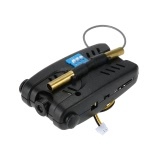 ok so I'm giving this 4 stars because I planned on using this for fpv, but it's too heavy in my opinion. Some people may be ok with shorter flight times and added weight, but I want to keep my weight down as much as possible because my quad is already on the side of heavy. Otherwise, I got the camera on and it works well, even has adjustable focus with a little screw. You cannot remove it from the casing! 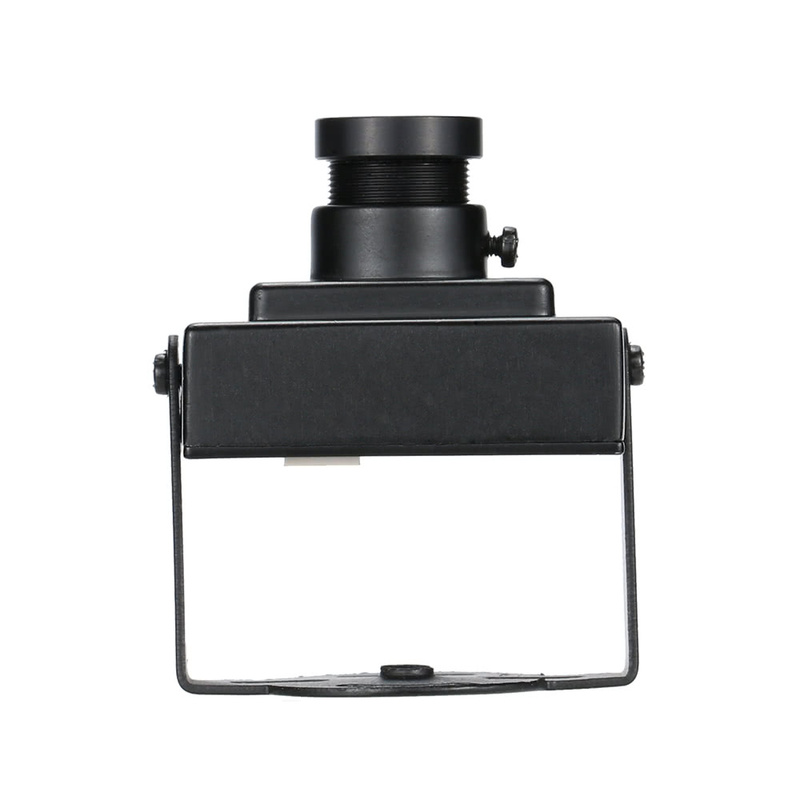 the casing contains the lens. The heavy metal case cannot be easily removed. The lens is held on as part of the case, so you'll need to rig something up to fix that if you want to remove the case. It's a great camera for the price, but as other reviews have said, it's very heavy. The colors are great, but the light/dark contrast could be better. 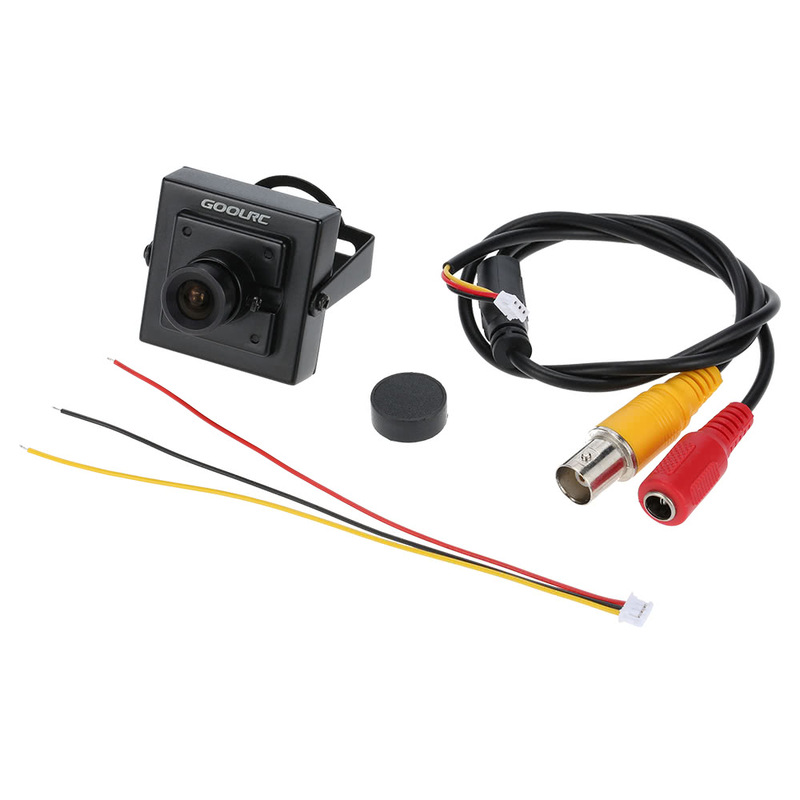 At only $10, it's a great deal someone looking for a cheap FPV camera. 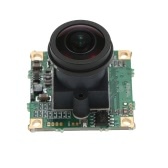 I have an Arris X-Speed FPV 250 quad that came with a "board camera" which is not nearly as good as this one is. It is heavier due to the metal case that is one draw back,however it is well protected. I will be buying another of these. 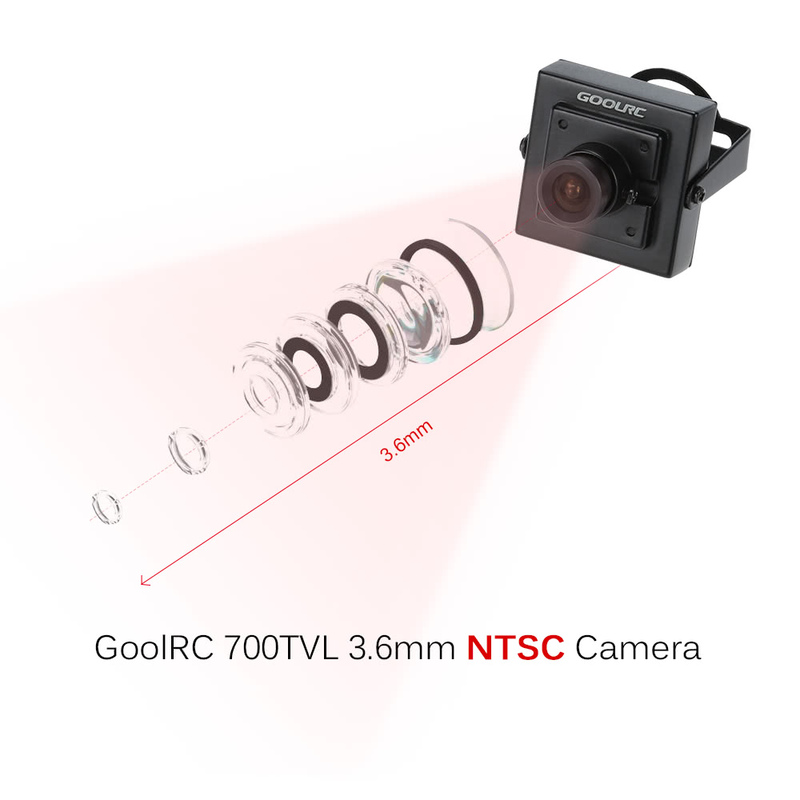 Great camera for the money! 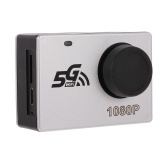 So I got this for the Cheerson CX-20 drone (a clone for the DJI Phantom). I soldered to a video wire that connects to the transmitter so I can get feed. When I checked my FPV goggles though it didn't receive a signal, so I cut and soldered another cable and still no signal until I realize on the back of the camera it needs a 12 volt power source to run and luckily, there are 12V ports on the bottom of the CX-20. I only connected the Power & ground wire to the 12V while the video cable is still plugged into the transmitter. I then checked my goggles and then I see live-active feed. Would recommend this for FPV fliers but be aware with the camera! For the price it isn't all that bad. 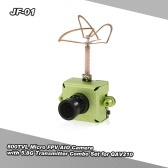 I use it for flying FPV with my home built multirotor. Excellent camera. 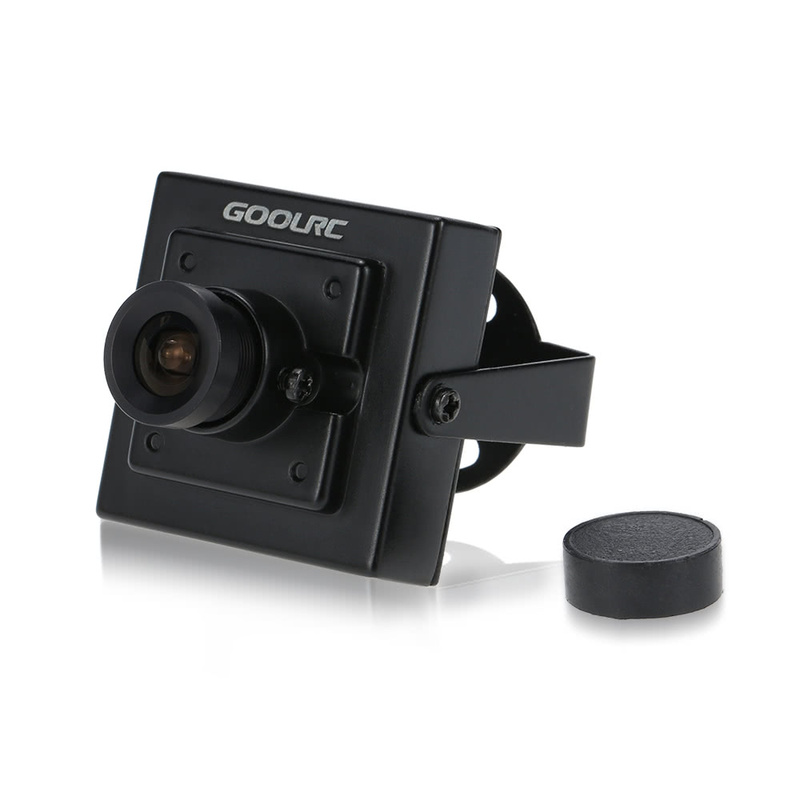 Use for FPV quad. Only issue is the weight of the camera body. It is made of metal. Would rather it be made of plastic but it was not designed for FPV use.